Yesterday, I released my picks for the Eastern Conference first round. Just for the sake of brevity, I’ll skip the long and winding intro, give you the link to that first piece, and present to you now, without commercial interruption, my picks for the Western Conference playoffs, as well as who I think will end up reaching the Stanley Cup Finals. Normally, when you get the number one seed in the playoffs, it is anticipated that you get a weak-kneed opponent whose only hope for success is that you will overlook them and they can somehow get miraculous production from your goalie and several great offensive performances. That may be the prevailing wisdom, but that is not what the Canucks got when they won the President’s Trophy with a late season push. The Los Angeles Kings have come into the playoffs and ended up at number eight despite being in contention for the Pacific Division title until the very last day of the season. They have a skilled offensive group with guys like Anze Kopitar and Dustin Brown leading the way, a gritty physical presence, and a goaltender in Jonathan Quick who not only is in contention for the Vezina Trophy, but also the Hart as well. Meanwhile, the Canucks are largely the same team that they were a year ago when they came within a game of reaching the Stanley Cup. The only real difference is that Cory Schneider is really pushing Roberto Luongo in net, and Alex Edler has emerged as a legitimate offensive dynamo from the blue line. They haven’t gotten quite the same production from the Sedin twins this season, but they still managed to score a slew of goals and run away with their division once again. This series has been one of the most heavily discussed ever since the seedings were set on Saturday, and with good reason. You have a Vancouver team that not a lot of folks know what to make of, considering that Daniel Sedin is coming off of a concussion, and you have the Kings, who have a goalie who has opened a lot of eyes this season with his stellar play. This series has all the makings of an upset, but with their playoff experience and a goalie fighting for his spot as the team’s starter, the Canucks will be able to hang in there against LA. This playoff matchup is likely one that a lot of people picked before the season started, but odds are that the seeding was reversed. The Sharks were viewed as a team that was going to finally put things together after acquiring Brent Burns and Martin Havlat from the Minnesota Wild, and the Blues were a team on the rise who were going to break through and make the playoffs behind the goaltending of Jaroslav Halak and the coaching of Davis Payne. Instead, the Sharks were a team scrambling just to make the playoffs. Their scoring was down this season, and while that ended up costing them the opportunity to win the Pacific Division, their defense was still solid, and their goaltender Antti Niemi had another decent year in his second season since coming over from Chicago. As for the Blues, it wasn’t Payne, but rather new headmaster Ken Hitchcock who got them turned around and nearly helped them win the President’s Trophy. In addition, it wasn’t just Halak but instead a tandem effort from Jaroslav and newcomer Brian Elliott helped the Blues to lead the league in fewest goals against, and really solidified them as one of the favorites to come out of the West. On paper, this series has to look like it favors the Blues. They have a tremendous duo of netminders, an offense that is capable of scoring when it needs to, and the great asset of having survived the cauldron that is the Central Division. 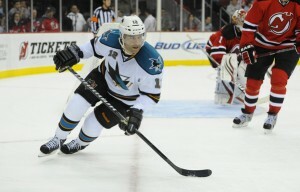 Facing a Sharks attack that has been relatively quiet this season, their defense should have no problem, right? Wrong. The Sharks are still very capable of scoring in bunches, and should never be counted against in terms of doing that so long as they have guys like Joe Pavelski, Patrick Marleau, and Joe Thornton on the roster. They have one of the league’s best power plays, a respectable goaltender of their own, and a freedom from the weight of crushing expectations that has dogged them ever since they leapt from decent team to elite status years ago. For once, the pundits calling for an upset will actually be right, and the Sharks will stun the Blues in this series, dashing the dreams of one fanbase looking for its first Cup and reinvigorating the hopes of another one. In terms of pure visceral hatred, this playoff matchup between the Coyotes and Blackhawks ranks somewhere between golden retriever puppies and candy canes. That’s the unfortunate result that you get one team from a non-traditional market against one with several likeable stars, and the result is that you don’t have a lot of attention that ends up getting paid to it. That, of course, is a mistake with this one. On one side, you have a Blackhawks team that looks dramatically different than the one that hoisted the Stanley Cup in 2010. In fact, they only have seven members of that team still on their roster, but they are arguably some of the most important. You still have guys like Patrick Kane and Marian Hossa patrolling the wings, and if he in fact plays, you still have their captain Jonathan Toews, who is one of the best two-way players in the game when healthy. 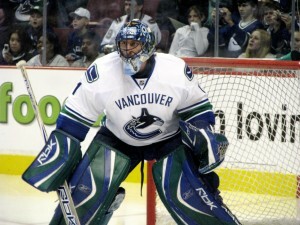 On the Phoenix side of things, you of course have Vezina-contender Mike Smith in net. He was dazzling down the stretch, reeling off a string of three straight shutouts and helping the Coyotes win five games in a row to clinch their first ever division title. You also have gifted offensive dynamo Keith Yandle on the blue line, and Radim Vrbata and Ray Whitney are no slouches in terms of providing scoring punch from the forward department. Ultimately, this series is going to come down to whether Chicago is able to stop the Coyotes from scoring goals. The Chicago offense will get their chances against Smith, but they will not be able to score at will like they were against some other teams this season. The Hawks’ defense and goaltending are their weak points, and those are sizable obstacles. Add to that their issues on special teams, and you start to question why so many people are so convinced that they are going to run roughshod over Phoenix. The 4-5 series this year in the West features two really gifted teams that are strong in most of the areas that you need to be strong in to succeed in the playoffs. You have the Red Wings, who of course have to be feared every time they hit postseason ice. Their blend of experienced hands like Nicklas Lidstrom and Pavel Datsyuk are invaluable come post-season time, and their youngsters like Jimmy Howard provide additional punch that they have been lacking in the past few years. Meanwhile, the Predators are fully locked and loaded in preparation for making a run towards their first Cup title in franchise history. You have the $7 million man in net with Pekka Rinne getting the starts, two high-quality defensemen in Shea Weber and Ryan Suter, and you also have a couple of solid weapons like Paul Gaustad and Mike Fisher along for the ride. Interestingly enough, both teams are going to try to claim the ground as “underdogs” or “lack of respect” in this series. The Wings are going to argue they are the underdogs, because just about everyone at ESPN picked the Preds in this series, but Nashville is going to be claiming that NHL pundits are overlooking them in favor of the Wings’ experience and history of playoff success. No matter who ends up winning the war of words between these two Central foes, both teams have about as even a chance to win as any other series in these playoffs, with the possible exception of Pittsburgh and Philadelphia. They know each other well, and it wouldn’t surprise anyone if this thing ended up getting decided in overtime of Game 7 in Nashville. In a coin flip decision, we’ll go with the home team in that nearly inevitable game. Originally, my pick before the season was for Pittsburgh and Chicago to meet in this series, with the Penguins winning it all. After seeing all 16 of these playoff teams through the year, I still believe that the Penguins are fully capable of winning the Cup, but I’m not as convinced by Chicago. Therefore, I’m switching my pick to the team that I think is most capable of getting on a run and making their way through the rough and tumble West, and that’s Vancouver. Ultimately, I think this series will come down to which team’s defense is best able to put the clamps on the opposing offense, and I think Pittsburgh is better suited to that than Vancouver, and so I stuck with my selection of them to win their second championship in the past four years.